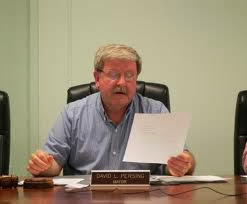 You have to wonder whether Sunbury mayor, Dave Persing, really has any very good idea—or even a glimmer of moral compass—about what might be involved in the Clean Harbors construction of a Marcellus Shale Waste Processing Facility smack-dab in the middle of that small city. Planned for the long-idled and stunning eyesore, the Knight-Celotex fiberboard thermal insulation plant shuttered its doors and declared Chapter 11 bankruptcy in April, 2009 (Knight-Celotex files for bankuptcy » News » The Daily Item, Sunbury, PA), but had stopped operations way back in November 2008—well over four years ago. The 22-acre site was then purchased by John Moran of Moran Industries Warehouse and Distribution Services (Moran Industries) via a subsidiary company—JDM Acquisitions —for $525,000 in April of 2011—two years after the bankruptcy. City officials continued to clash with representatives of a Watsontown company over Moran Industries’ unwillingness to disclose what it is doing and what the company intends to do at the former Celotex site in Sunbury. 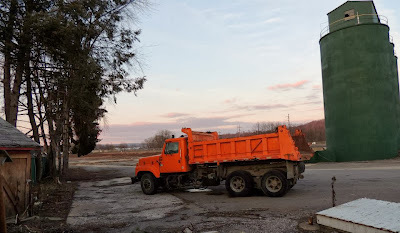 In what should be run-of-the-mill activities related to demolition of the former fiberboard manufacturing plant, city officials are scrambling to see what and why Moran Industries is hauling materials to the Sunbury site and loading it on rail cars to be shipped to Ohio. Even Dan Spadoni of DEP—known far more for protecting the hydraulic fracturing industries than for protecting the environment (DEP Permit Hearing: Moxie Patriot Power Plant, Clinton Township, Lycoming County, PA,1.3.13 ), was forced to acknowledge that Moran Industries “does not have any permits on file with DEP.” As reported in the Daily Item, 1.20.12, “Sunbury mayor Dave Persing was growing frustrated on Wednesday because he wasn’t getting any answers” (City officials in dark over activities at former Celotex site » News » The Daily Item, Sunbury, PA). It’s a trial run, Persing said he was told. “A representative of the developer advised City Council in a public meeting of a trial experiment of transferring materials from the site to a destination in Ohio,” Persing said Thursday. That representative — Jeffery Stroehmann, of Moran Industries, Watsontown — said it is pure rock chips that are being removed. And, “That’s it,” Stroehmann said Tuesday. The rock chips are being dug up and sent on rail cars to Ohio, said Stroehmann, whose company earlier said it would consider using the site to process Marcellus Shale-related materials. Persing was unaware the hauling experiment would begin as quickly as it did. “Clearly, this trial happened much faster than City Council anticipated, and we experienced many more trucks than we anticipated,” he said. The Marcellus Shale industry is making a huge impact in Pennsylvania and will for many years, Persing said. There are several things to notice about these comments. First, Persing’s declaration that the city is safe is not the result of any investigation—DEP or otherwise. This is nothing but the reassurance of the company—the same company responsible for having failed to apply for a DEP permit—Moran’s. What mayor—responsible for protecting the public welfare—would accept such a flimsy explanation especially concerning a site in the middle of the city surrounded by residential neighborhoods? Second, Stroemann insists that all that’s being transported on this “trial run” are wood chips, that Moran doesn’t need a DEP permit. 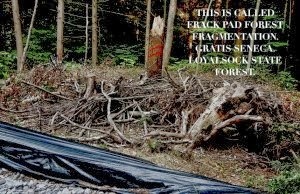 Stroemann then follows this up with an excuse premised on the rapidly developing Marcellus Shale industry that “is moving faster than government generally works.” In other words, Persing is offered two utterly inadequate excuses—either “no permit needed,” or “need to move to fast, so skipped permit,” and, stunningly, he accepts them both with nary a whimper. Persing doesn’t even appear to see the effective admission that Moran Industries deliberately skipped the permit application in order to get the jump on the frack-waste transport and processing market. Not an iota of this narrative should inspire confidence in the citizens of Sunbury that John Moran is concerned about public safety, or that his plans to sell the Celotex site to Clean Harbors for frack-waste processing has anything to recommend it other than big bucks bulging from his pockets. 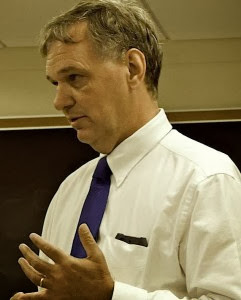 In fact (third), Persing doesn’t blanche at the possibility that the site might be utilized to “process Marcellus Shale-related materials” despite the fact that the transport and processing of such materials would pose a demonstrably massive environmental and health hazard—right in the middle of his city. “[I]t’s only rock chips. 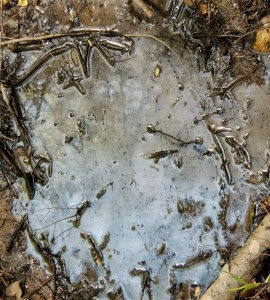 It is not frack water, and there’s no such thing as frack mud,” says Stroemann—and Persing buys this, apparently without research or additional inquiry, despite the fact that rock chips are defined by the fracking industry itself as part of the solid waste regulated as toxic (process Marcellus Shale-related materials). Moreover, drilling mud is simply another name for the highly toxic fluids being proposed for storage at the Celotex site. The process of hydro-fracking begins at the well pad with the drilling of a vertical well. After the well has been drilled, a larger drill rig creates the horizontal drilling bore, and drilling mud is used to cool and power the drill. Depending on the chemical content of the drilling mud, drill cuttings can be deemed hazardous waste when combined with this mud. This initial phase can take up to two months. Once the well is drilled, dried, cased and grouted, fracking begins. After the cement casing is installed, a perforating gun sends down electrical currents that fracture the rock. Fracking fluid, a mixture of water and highly toxic chemical additives, is then injected at high pressure to both maintain and induce fractures in the gas-bearing formation, thereby increasing permeability and facilitating the release of trapped gas. A pressure of up to 15,000 pounds per square inch may be employed during multi-stage fracturing events. This is a pressure range typically associated with bombs and military armaments. Each well requires between 2-7 million gallons of fracking fluid. To make this fluid, water is obtained from local surface or ground water sources. To date, most fracking operations have used on-site fresh or low salinity water. Approximately 10 to 50% of the fracking fluid returns to the surface during the drilling process as flowback water, which is estimated to contain between 9%-35% of the initial fracking chemicals injected. Flowback water contains high levels of total dissolved solids (TDS or salts), metals and naturally occurring radioactive material (NORM) from the drilling process, which is stored in open lagoons. Flowback generates the largest amount of waste from the gas wells. It can be reused to fracture additional wells, injected into underground disposal wells, treated or stored in open lagoons for dilution and reuse. Open lagoons are prone to liner failure, evaporative spread of volatile chemicals and direct human and animal contact. 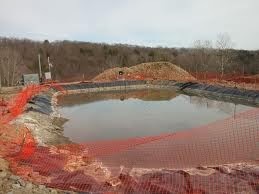 The hydro-fracking process takes approximately 4 months to complete from preparation to waste disposal. WATSON TOWNSHIP — A truck hauling waste water for a company in the natural gas industry wrecked in Lycoming County Wednesday afternoon. The crash sent thousands of gallons of “residual water” spilling into Pine Creek at the scene along Route 44 north of Jersey Shore. It happened around 12:30 p.m. Wednesday. The Minuteman Environmental Services driver somehow crashed into a rock wall in Watson Township on his way to a gas well site, according to state police. Fire officials said the truck was hauling a full load in excess of 4,600 gallons of the treated waste water that contains high salt levels and some chemicals used in the fracking process. 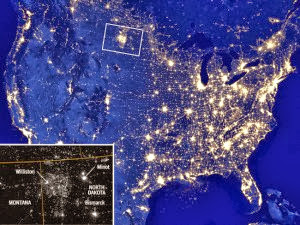 Hydraulic fracturing or “fracking” is the process of using liquid to break up underground shale to extract natural gas. Firefighters placed booms in Pine Creek to catch any contamination. A detour was expected to be in place for hours after the crash. Clean Harbors Environmental Services of Norwell, Mass. has applied for a permit to build a “waste processing facility” in Sunbury (Northumberland County), PA. The facility will accept up to 1,000 tons of Marcellus Shale drill cuttings, drilling mud and other materials per day. 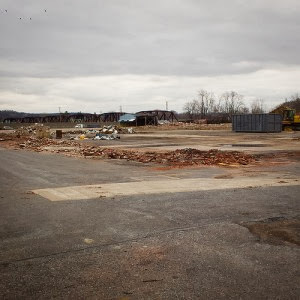 Although the waste is not toxic, some local officials are concerned and upset that the state DEP alone will make a decision about whether or not to approve the permit (Sunbury has no say in the matter). Sunbury mayor David Persing supports the new facility. Everyone is talking about frack water coming in, but nowhere in the permit does it say anything about ‘frack water,’ but frack water waste,” he said. “The industry is so regulated currently if we find some wrong waste, DEP can track where it came from due to its composition. There is nothing corrupt going on here. The city won’t allow that. A class action lawsuit filed in Arkansas this week [10.7.12] has uncovered some very frightening information about the enormous amounts of potentially very toxic waste being generated by the oil and gas industry and how poorly it is regulated. According to a recent investigative report by ProPublica, oil and gas producers have injected 10 trillion gallons of liquid waste underground into more than 150,000 waste disposal wells in 33 states. According to ProPublica, this is often happening even when the operators know the waste disposal wells are out of compliance and could leak… The lawsuit and the ProPublica report add to the growing evidence that oil and gas waste in the U.S. is not sufficiently regulated. Not only are the rules too weak, thanks to Congress giving the industry a free pass to pollute years ago, but those on the books are not being enforced. Both state and federal regulators are overwhelmed. Even when violations are found, the penalties are so small that they are not an incentive for companies to clean up their act. State regulations govern the handling, storage, and transport of shale gas wastewater prior to its ultimate disposal. Oil and gas wastes are currently exempt from the federal Resource Conservation and Recovery Act (RCRA), which generally regulates the handling and disposal of waste. A 1980 amendment to the statute exempted oil and gas wastes from coverage under RCRA for two years. In the meantime, it directed the EPA to determine whether regulation of those wastes under RCRA was warranted. In 1988, the EPA made a determination that such regulation was not warranted. Consequently, oil and gas wastes remain exempt from the hazardous waste provisions of RCRA. 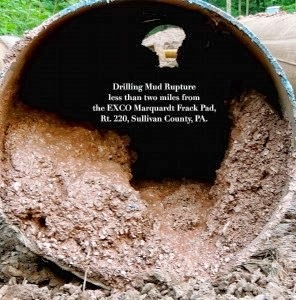 This means that natural gas operators transporting shale gas wastewater, along with the POTWs, CWTs, and any other facilities receiving it, are not transporting or receiving “hazardous” wastes and thus do not need to meet the cradle-to-grave safeguards established by RCRA regulations. In the absence of federal regulations, states regulate the handling, storage, and transport of shale gas wastewater. In Pennsylvania, wastewater from industrial operations is classified as nonhazardous, and it must be managed and disposed of in accordance with the state’s Solid Waste Management Act. Two Sunbury councilmen asked why Mayor David Persing wants to clean up the city, then allow 1,000 tons of residual waste to be brought into the community. In a heated debate about a proposed waste transfer station that Clean Harbors Environmental Services, of Norwell, Mass., wants on the former Celetox site, now owned by Moran Industries, Councilmen Todd Snyder and Joe Bartello said they wanted to protect city residents. 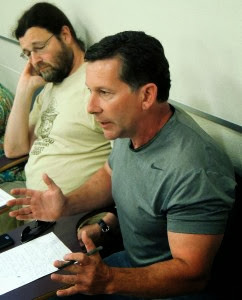 The debate began after Bartello informed the council he was going to send a letter to Clean Harbors informing company officials they must appear before the Sunbury Zoning Board. Bartello told council he wanted to inform the company it would be violating city zoning ordinances because of dust, refuse matter, smoke, odor, gas, fumes and noise. Clean Harbors may accept 1,000 tons of Marcellus Shale industry-generated residual waste per day. Waste will be in liquid and solid form. A Norwell company has agreed to spend over $1.7 million to settle allegations of violations at its hazardous-waste facility in Braintree. The US Environmental Protection Agency said the Braintree facility of Clean Harbors Inc., a hazardous-materials management and disposal services company, was in violation of nearly 30 regulations from both the Resource Conservation and Recovery Act and the Emergency Planning and Community Right-To-Know Act. The violations included inadequate waste characterization, failure to properly maintain hazardous waste tanks, inadequate secondary contaminant for waste containers, and improper storage of incompatible waste, the EPA said. Additionally, inspections found that many of the company’s hazardous-waste tanks were deteriorating. Resulting EPA monitoring showed releases of emissions that contribute to smog coming from some of the tanks. The EPA issued an administrative order in July 2007 ordering Clean Harbors to address many of the issues that “could have posed a danger to human health or the environment,” a release said… In addition to infrastructure upgrades, Clean Harbors will pay $650,000 in civil penalties for the 2007 violations. Additionally, the company will spend $1,062,500 on 1,400 trees in low-income and historically disadvantaged environmental justice areas in Boston to settle a complaint filed by the US Department of Justice on behalf of the EPA, regarding the numerous hazardous waste management and emergency planning violations at the company’s Braintree facility. Let’s highlight and translate: “inadequate waste characterization”: Clean Harbors lied about what it was “processing”; “failure to properly maintain hazardous waste tanks, inadequate secondary contaminant for waste containers, and improper storage of incompatible waste”: Clean Harbors doesn’t give a tinker’s damn about safety. “Clean Harbors will pay $650,000 in civil penalties for the 2007 violations. Additionally, the company will spend $1,062,500 on 1,400 trees in low-income and historically disadvantaged environmental justice areas in Boston”: Clean Harbors picks on poor folks in poor and/or blighted neighborhoods for its operations knowing that the people who live there won’t likely put up much of a stink about the pollution to which they’re being exposed—in this case for decades before the EPA acted. Unconvinced? Think the Massachusetts case is an anomaly? Hardly. Clean Harbors means nothing but environmental hazard and labor abuses from Massachusetts to California (http://www.randomlengthsnews.com/blogs/Notebook/2012/07/scalers-union-tells-clean-harbors-to-clean-up-its-act/). And whether Mayor Persing gets that last point or not, that’s why Clean Harbors picked Sunbury, a Pennsylvania city with one of the highest unemployment rates in the Commonwealth—11% in 2010, a dwindling tax base, a school district—Shikellamy—that has the highest number of students who live in families in poverty, a poverty rate of 18.1% (http://www.cityofsunbury.com/Documents/2012%2004%2009.pdf), and an all but abandoned site that a guy like John Moran just can’t wait to sell them so he can make a little more moola to take his buddy—the eminently corrupt Governor Tom Corbett—on vacation (Natural-gas exec paid for Corbett 2011 vacation). Hell’s bells, if Moran can work the “fast-moving” Marcellus Shale industry to his advantage fast enough, he’ll be able to beat the $79, 750 campaign donation he made to Corbett’s 2008 bid for the governorship, and buy himself the kind of guarantee we’ve come to expect from extraction industry appointments like DEP head Michael—I never met a fracker I didn’t like— Krancer, namely, that the only thing regulated with respect to Clean Harbors will be the Sunbury citizens’ right to live their lives protected from toxic exposures. Turns out, moreover, that John Moran is a very special guy. This oil and gas loophole is now having real impacts. According to a recent article from Pennsylvania from Below, the residents of Sunbury, Pennsylvania are discovering what a dirty and risky problem the CRA loophole can be. 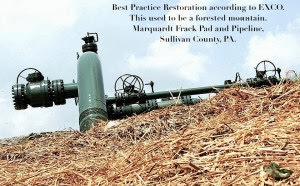 Without warning to nearby residents or local officials, a company called Moran Industries opened an oil and gas waste transfer facility in January, 2011 at a site with an old rail connection in their neighborhood. Residents report that trucks filled with natural gas production waste now rumble through their neighborhood, where the waste is loaded onto railcars at the site before being transported to Ohio. The material looks like a combination of soil and rock, and has a strong chemical odor. The residents want answers about what is contained in the waste, but have no way of knowing if it contains hazardous chemicals. Given the presence of highly toxic substances in natural gas waste, including the naturally-occurring radioactive materials in Pennsylvania’s natural gas fields, their concern is legitimate…Moran claims the site is being operated by or on behalf of Norfolk Southern Railroad. 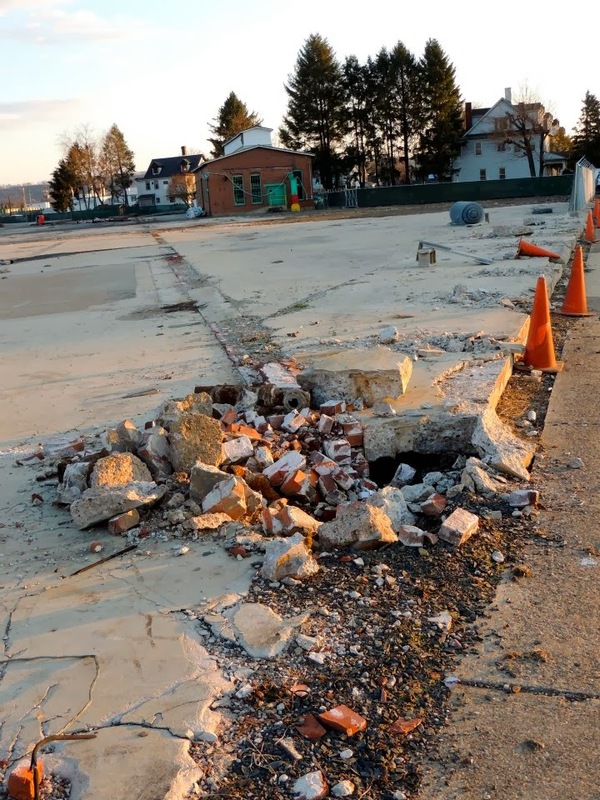 The Pennsylvania Department of Environmental Protection (DEP) has been investigating the site for almost a year, but has yet to determine on whose behalf it is being operated. If the DEP finds that Moran Industries is not operating on behalf of a railroad, then the site would be subject to state regulation. But the DEP has not made any indication when its decision will be made. Meanwhile, trucks full of oil and gas waste continue to unload at the site without oversight. Advice to Moran: Probably better make that check out to the Corbett 2014 Campaign a tad bit bigger—it’s blood money, of course, but he’s earned it. In the grand scheme of things what’s pretty clear about Mayor Persing is that he’s just out of his league. I have no reason to think he’s got the backs of his fellow Sunbury citizens. But even as the political mercenary he apparently fancies himself, Persing isn’t very good. He just doesn’t get it that he’s being used as a cheer-leading pawn to smooth out the way for a vulture industry that preys on cities just like his, and that prey on the aspiration-to-look-important he obviously harbors (no pun intended). But he’s not alone. Were I a Clean Harbors board of investors member reading the minutes of, for example, the 4.9.12 Sunbury City Council meeting I’d be peeing myself with glee at the stunning lack of even rudimentary knowledge of the fracking process, the waste disposal process, the carcinogens, the radioactive materials, the biocides, the Halliburton loopholes—and the money I’m about to make on the back of that ignorance (http://www.cityofsunbury.com/Documents/2012%2004%2009.pdf). Thing is, the Sunbury City Council has no excuse for ignorance about a project that is going to expose its citizens rich and poor near and farther away along the Susquehanna River to the massive hazard posed by the woefully misnamed Clean Harbors. With that environmental violation history how is it that any of these council members can sleep at night? But then again, this is the same city council who, at their 2.11.13 meeting defended Louie Gohmert, Republican House Representative of Texas for his willingness to deny basic Habeas Corpus rights (not to mention climate change)—and it was painfully clear that Mayor Persing had no more comprehension of these issues than he does of the frack waste disaster coming to Sunbury. Indeed, I don’t know that I have ever been to a city council meeting where the effort to conceal the mutual-hand-washing corruption was done so poorly as it was between fellow councilman James Eister and Mayor Persing over what a head-nodding audience clearly recognized as a hazardous eye-sore of a property owned by Eister. If the smug, patronizing treatment of audience members who had the temerity to challenge a council rife with “old boy” style internal collusion is par for the course in Sunbury, I can’t imagine what the scurrying to hide from responsibility will look like when something really bad happens—like a spill, a leak-an accident at Clean Harbors. Conceal, denial, extort, dismiss seem to be the name of the game on this city council—tragically peopled by players who want to treat the construction of a frack waste processing site as if it were the building of a daycare center. Note carefully—I’m not claiming that this necessarily includes all of the council members. But it absolutely does so if the one or two who appear to have some inkling of the frack-tastrophe that could be coming don’t “grow a set” and actually do something to stop this train-wreck—literally. Woe be to the citizens of Sunbury if they allow this to happen—and shame on anyone who votes for Dave Persing for anything ever again. "PEMBERTON TOWNSHIP, N.J. (AP) — Officials have rejected a plan to build a natural gas pipeline through New Jersey's Pinelands, and the company behind the project isn't sure what its next move will be. South Jersey Gas wants to build a 22-mile pipeline to connect with a power plant that's switching from coal to natural gas. 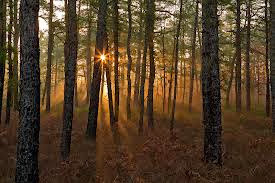 The pipeline would run through the Pinelands, which are protected by state and federal law. The idea is pitting business and labor unions against environmentalists. The proposal was rejected Friday by the New Jersey Pinelands Commission, which fell one vote short of approving it. The commission is tasked with protecting the ecologically fragile region while supervising responsible economic development within it. Gas company spokesman Dan Lockwood says it is considering its options." The vote was 7-7--close, but at least for now, the Jersey Pine Barrens will not become the latest casualty of the fracking industry. Congratulations to Don't gas the Pinelands! (http://www.delawareriverkeeper.org/resources/Factsheets/Information%20High%20Pressure%20Gas%20Pipeline%20through%20the%20New%20Jersey%20Pinelands.pdf), who, according to Georgina Shanley, is calling for the immediate resignation of the Executive Director of Pinelands Commission Nancy Wittenberg and Counsel Stacey Roth they tried to sell the Pinelands for $8million. Congratulations also to Kevin Heatley, Shale Justice Coalition, for the excellent presentation in which he showed just what sort of damage this would have generated. South Jersey Gas Company wants to run a 22 mile pipeline (carrying fracked gas) through the New Jersey Pinelands – an internationally designated UNESCO Biosphere Reserve (http://www.pinelandsalliance.org/protection/hotissues/development/southjergasline/). Like all sets of photographs, this set comes with a story--one I hope you'll all find at least amusing, and perhaps even gratifying. 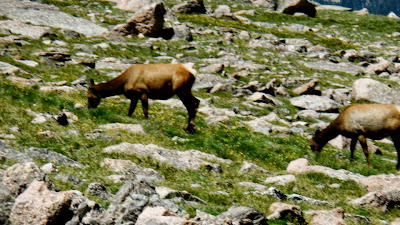 This particular day of hiking turned out to be one of the hardest--and likely best--days of my life outdoors. It began at 3AM, and a short drive from Estes Park, CO to the trailhead Ranger Station at Long's Peak. The moon was full, the air chill, and it was amazingly quiet. The photographs are in order of the day. My hiking companion, Jack, knew the trail, and we set out. I was immediately grateful that I had thought to bring a hiking back pack, long jeans, my heavy University of Oregon Track hoodie, trail sneakers, and a water bottle. 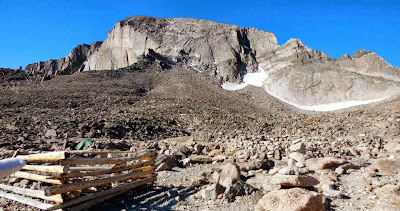 The trail to the Keyhole--the 12,000 or so foot "keyhole" shaped giant rock formation which serves as entry to the final ascent to the summit of Long's Peak (http://www.nps.gov/romo/planyourvisit/longspeak.htm)--is arduous to say the least. 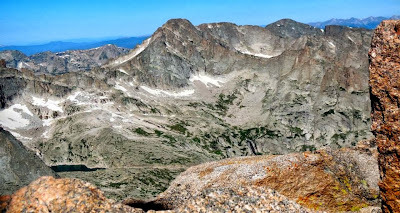 Rocky, steep, and jagged on all sides--there is no just walking. 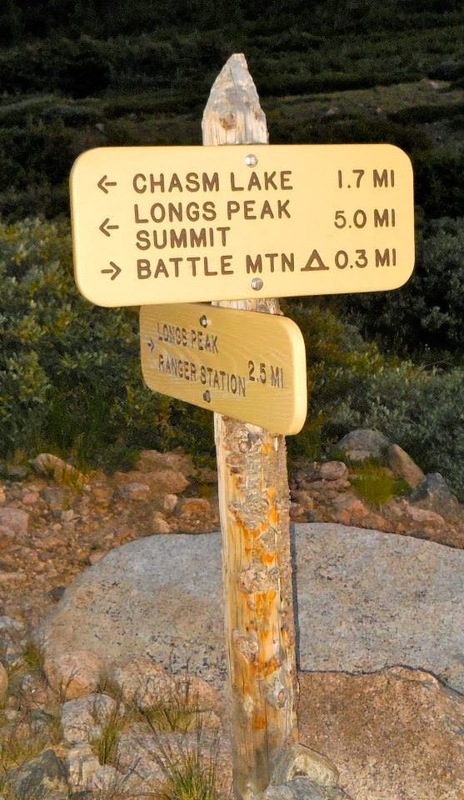 This is all hiking-climbing in one way or another. The sun coming up over the Rockies is--well, there's no word for this. "Splendiferous" comes to mind. But so does "tearful," "heart-breaking" and "riotously beautiful." Photographs cannot capture the boisterous magnitude of these mountains, their wildlife, their trees and flowers. No image can intimate the color. Look at the first few pictures. The trees back-lit by the upcoming Sun. The mountains just hinting their emergence in the deep distance. We hiked up and over for some hours while the sun came up over those tremendous peaks. I photographed vistas and flowers--the big and the small--and all of it was breath-taking. But "breath" itself was also on my mind. I was struggling--TRYING--but struggling with altitude sickness--trying to get enough air, and trying to staunch a nose bleed. I was pretty damn determined that something silly like breathing and having to use my hoodie for a kleenex was not going to interrupt one second of this awesomeness. Jack and I arrived at the "Boulder Field," and a very intimidating trail warning sign that reminded me of the sign just before you entered the witches forest in the Wizard of Oz--the one about how you should go back. Go back now. 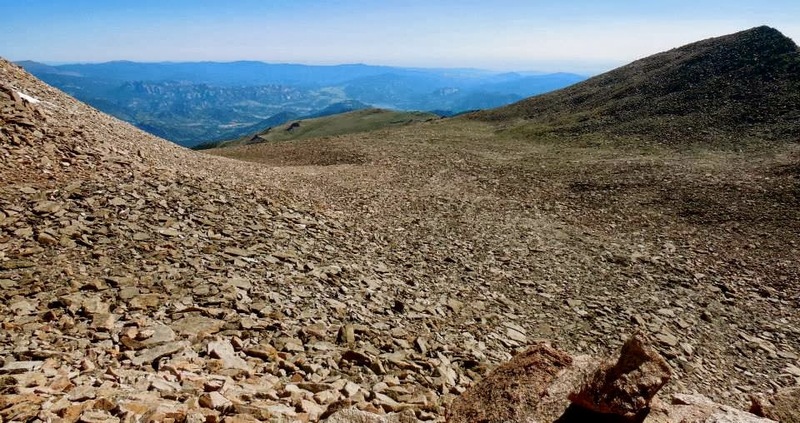 "Boulder" and "field" does not do any of what we were about to encounter justice. In fact, "encounter" doesn't either. The "boulders" are automotive sized, jagged, sharp, and lacerating rock-weapons that lurch and jut out of the belly of the mountain. It’s easy-peasy to imagine them as alive and desirous of nothing but the blood splashing out of your head as you plummet into a fissure to your demise. They're the ENTIRE world while you're trying to clamor over them without shredding your hands and knees, and it's clear--especially when you can't breathe--that they want to eat you. And this is no “field” unless by “field” what you mean is sharply inclined mine-filed of almost ludicrously proportioned projectiles. 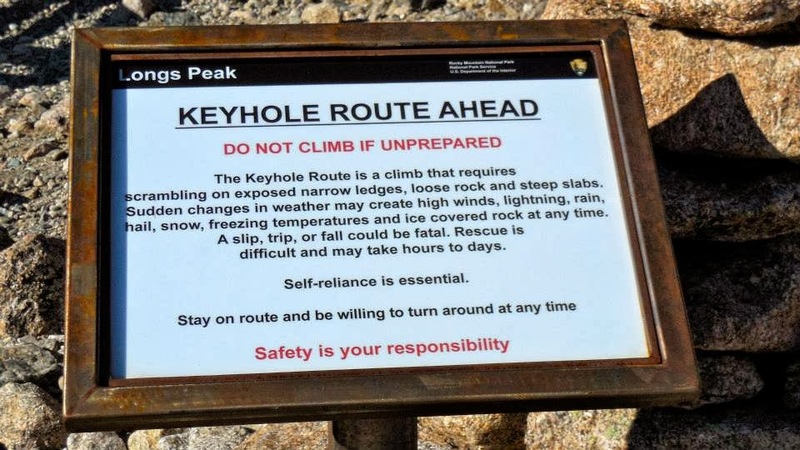 That I reached the Keyhole—a towering rock formation at about 12,000 feet—is truly miraculous. Or something. 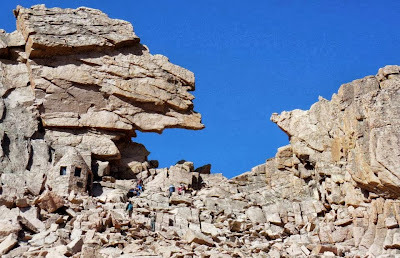 I was heaving and tingling, and realizing that absolutely no amount of marathon training is a substitute for rock-climbing training, and I did not have anything like the latter. But what happened next is the real story: While the details don’t matter, I became separated from my climbing companion, and I found myself half hovering, half clinging to the rock face just a few feet under the precipice of the keyhole. I was there for nearly two hours in hopes of resolving the separation, and I began to shiver. Hard. I was freezing—and the wind. Oh. My. God. The Wind. Ripping. Tearing. Freezing. Fierce. And I could not move without risking falling. A gazillion feet. I began to feel that weird kind of sleepy that you feel when you’re just that cold. I determined that I had to get down off the boulder field. I could not feel my hands or feet. I had to take off my sock-gloves because I could not risk sliding down a sharp rock-sword. And I began the climb down. The world has never appeared so enormous, empty or foreboding to me. It was at once so shamelessly gorgeous—stark and massive. But it was also too big. I could fall, and no ne would know. I could fall and no one would see. Or hear. I didn’t climb down. I scrabbled, lurched, scooted, scraped, crawled, and cried my way down the Boulder Field. I have never been so happy to have another 7 miles of arduous hiking in front of me in my life. Have never cared so little that my best jeans were destroyed. And I have not in a long while thought this much or clearly or deeply about just how unbelievably much I love my children, my mom, my people, my animals. And I think about that stuff pretty often. After all, that’s what the anti-extraction war is about. I warmed up. Finally. And was a little bit better able to breath. 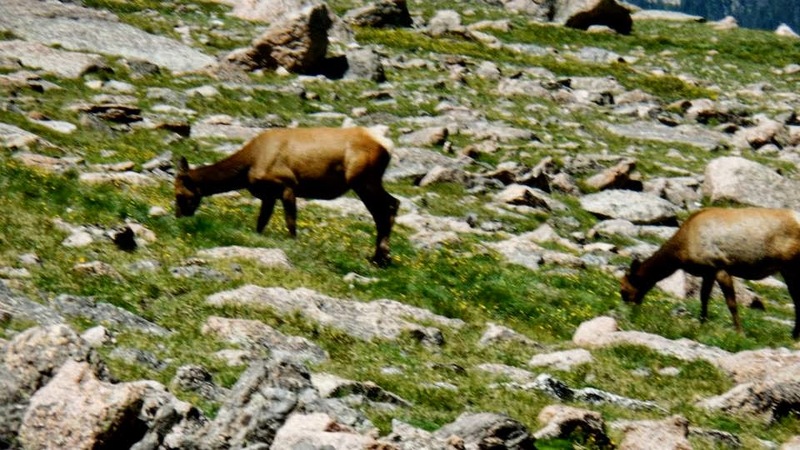 I was dehydrated and a bit desolate when I happened upon a wide swathe of Elk in a pasture just above timberline—swaddling about in an actual field of flowers and clover with their babies. They snorted and Ballyhooed, lumbered from this patch to that. I wanted to be home, and I wanted to be right where I was at 11,000 feet. I could almost feel the Elk’s warmth. As the color began to return to my face, as I took a last swig from my Gatorade bottle, I began to reflect on what had happened. I was OK. I was not hurt. I was OK. 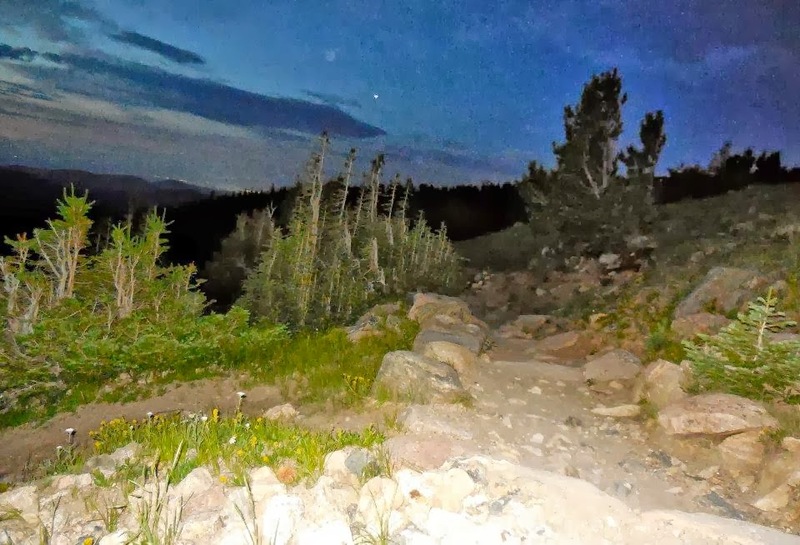 I began to sing to myself, and finally found my way back into the lush piney forest just under timberline. I laughed a little, realizing that I was singing “Somewhere Over the Rainbow” in my dad’s best Louis Armstrong impersonation. 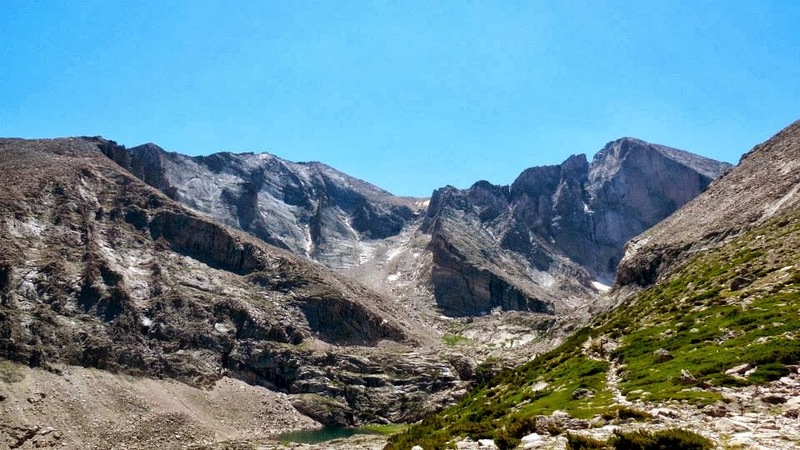 “Singing Satchmo in the Rockies” I said out loud to no one. And I remembered just how much I loved everything. 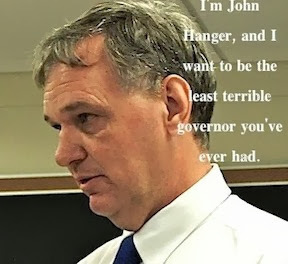 Of particular concern was John’s use of the shared culpability argument – the idea that, since we all use energy to exist we are all responsible for the devastation incurred from nuclear power, coal extraction, and oil & gas drilling. What is conveniently ignored in that rationale is that we do not all consume at the same level. Some of us are more culpable than others. And the corporate transnationals and political elite that offer us no viable choices but death by axe or death by hanging, are the most culpable of all. 1. The presence of a frack operation or any of its infrastructure is inconsistent with the health and welfare of the university community. The potential for carcinogen exposure, methane leak, explosion, noise, heavy industrial truck trafiic, etc. should make any parent taking the tour of a PASSHE campus think twice about sending their son or daughter to a PASSHE school. 2. The creation of university/industry “partnerships” can compromise the integrity of entire departments and programs. “Research bearing the imprimatur of Penn State, University of Texas at Austin, and University of Buffalo, for example, have all come under fire for “research” demonstrably biased to industry interests, for ignoring environmental and health concerns, and for failing to disclose their financing.” Closer to home, consider “A three group panel” discussing “environmental and operational safety of drilling for Marcellus shale natural gas” at PASSHE’s Slippery Rock University (SRU). The panelists included “health and safety manager at Advanced Waste Services Sean Decristoforo, vice president for safety and environment of Range Resources Ralph Tijerina, and James Daley, director of natural gas and energy programs of Greenhouse and Omara Inc. The mediator was Anthony Cialella, vice president for energy services for Advanced Waste Services”—all pro-fracking, all industry beneficiaries. 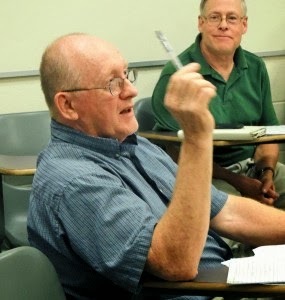 Moreover, one of the attendees, Professor Patrick Burkhart, Geoscience SRU and committee chair for the APSCUF committee charged with drafting the APSCUF position statement on fracking insisted with respect to frack-related water pollution that “you cannot define dirty until you define clean,” and that “environmental issues are demand driven” (The Rocket : Local shale fracking under question) implying—as he reiterated at APSCUF Delegate Assembly—that economic circumstance ought to determine environmental policy—on PASSHE properties. 3. We teach our students a deeply immoral lesson about the value of human life and the integrity of the planet’s ecology when we allow operations whose contribution to water destruction, air pollution, forest fragmentation, and climate change to proceed on campus—as if our only value for their futures is as cogs in that machine.